If you have ever looked in the mirror and desired an improved smile, yet are not sure where to start, the answer to your concerns is available at the Danville, CA dental office of Dr. Pooja Malik. At Ivory Smiles, Dr. Malik offers a number of cosmetic dentistry procedures that can remove years of built-up stains, repair a chipped or broken tooth, or completely revolutionize and reshape your front teeth. Cosmetic dentistry is of increasing interest to Americans. According to a survey from the American Academy of Cosmetic Dentistry, many patients cited a desire for an improved appearance and longevity of treatment results as their reasons for seeking cosmetic dentistry procedures. Whatever your oral health situation may be, Dr. Malik can help you determine which dentistry procedures at her Danville office can do the most to improve your smile and boost your confidence. What Dental Concerns Can Danville Cosmetic Dentistry Correct? • Composite Fillings/Inlays/Onlays: Gone are the days when needing a filling meant a mouthful of metal. Dr. Malik can use tooth-colored dental composite to fill a cavity or conceal decay on a tooth's cusp or other surface. • Custom Veneers: Dr. Malik offers Lumineers ®, which are ultra-thin veneers that do not require preparation before applying. She also offers traditional porcelain veneers that have a similar luminescence to natural teeth. 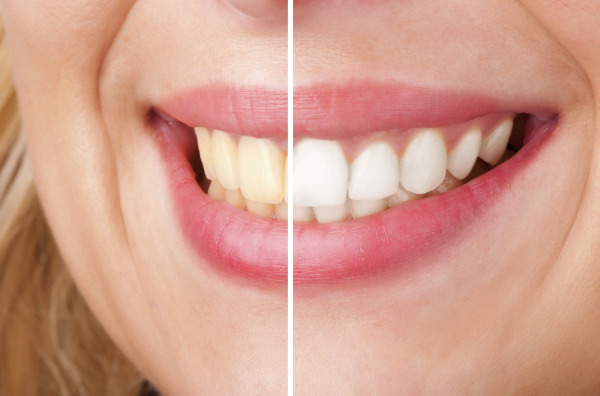 Both forms of veneers can conceal a number of dental concerns, such as gapped or highly-stained teeth. • Porcelain Crowns: Porcelain crowns completely cover and improve the look of highly-decayed teeth, stained teeth, or a tooth that cannot support a filling. Porcelain crowns are durable and closely resemble your natural teeth, without the telltale metal line of traditional porcelain-over-metal crowns. • Teeth Whitening: Including Opalescence take-home tooth whitening that features customized dental trays and professional-grade whitening gel. She also offers Sapphire teeth whitening, a form of in-office, chairside teeth whitening. Cosmetic dentistry does more than just correct a minor dental concern. Dr. Malik prides herself on the quality of her work, creating not just temporary fixes, but instead lasting solutions to help your smile. Dr. Malik's Danville dental office helps patients to restore the beauty and power of their natural smiles through cosmetic procedures. To schedule an appointment with Dr. Malik at her Danville cosmetic dentistry office, please call 925-588-4444.